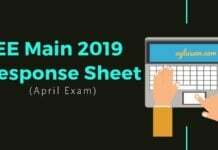 JEE Main 2019 Result – National Testing Agency (NTA) will declare the JEE Main Result 2019 for the April attempt at jeemain.nic.in. The paper 1 result will be declared by April 30, 2019, and paper 2 result by May 15, 2019. NTA prepares the result by normalizing the raw scores of the candidates in the exam. 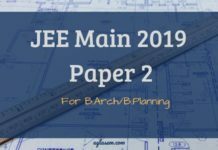 There is no cut off of JEE Main, however, there is a cutoff mark to appear in JEE Advanced 2019, which announced with the JEE Main Result. This time, NTA is also releasing the JEE Main 2019 All India Rank (AIR) based on both January and April performances of the candidates. Check more details below on this page. Latest: JEE Main 2019 Paper 1 result will be declared by April 30, 2019. However, the results are also expected to be out by this week. NTA has released the result of the January session within 7 days after the exam ended. In the January session, the exam ended on January 12, 2019, and the result was out on January 19, 2019. Therefore going by that trend, it is expected that after the exams ended for the April session on April 12, 2019, the results will be out this week for paper 1. This time NTA is going to come up with the AIR and cutoff scores for JEE Advanced 2019 exam too. We are tracking the result closely, bookmark this page to get your JEE Main 2019 Result as soon as it is out. What Is New About JEE Main 2019 Result This Time? Not only the candidates from the April attempt are to check their result but the candidates from the January attempt are going to check their result. This is because the All India Ranks are being also declared by NTA this time. All India ranks form the basis of admission in the NITs, CFTIs, and IIITs. 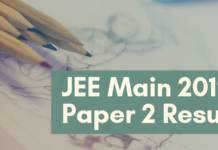 The candidates who have appeared in both their attempts will have their place in the JEE Main 2019 AIR based on their best percentile out of both the attempts. Apart from the percentile scores, the result is going to have the cutoff marks for JEE Advanced 2019. 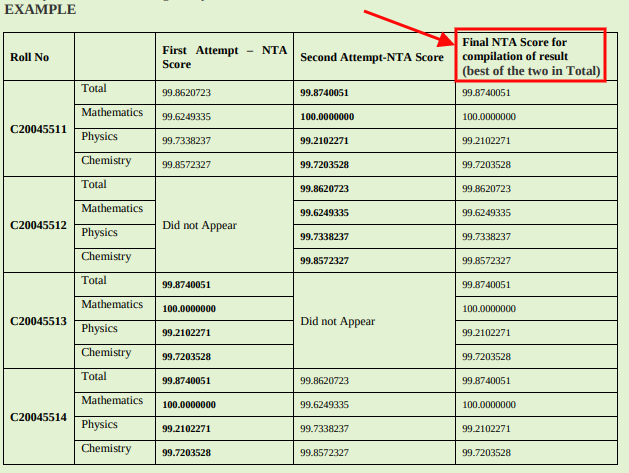 What is NTA Score On the JEE Main 2019 Result? The NTA score or the percentile score is the normalized raw scores of the candidates. Now candidates must not confuse the percentile score with percentage. Percentile score and percentage 2 very separate values. However, the percentile score of a candidate reflects how many candidates have scored below that candidate in an exam. A Percentile score is a value below which a certain percent of observations fall. How is the NTA Score (percentile score) calculated? Say a candidate named Max appear in the JEE Main 2019 exam. He appears in the exam on April 09, 2019 and in shift 1. In shift 1 of April 09, 2019, say a total of 30,000 candidates have appeared. Suppose Max scores a total of 300 marks out of 360 in the exam. Also, let us assume that in his shift out of 30,000 candidates 10,000 have scored equal to or less than Max. That means 10,000 candidates have scored either 300 or below 300 on April 09, 2019 in shift 1. First, the NTA scores are calculated corresponding to the raw marks obtained by a candidate in each session. The calculated NTA scores for all the sessions are then merged for declaration of result. The result shall comprise the four NTA scores for each of the three subjects (Mathematics, Physics, and Chemistry) and the total for the second attempt. This time NTA is also releasing the AIR of the candidates. The All India Rank of the candidates is based on the best NTA scores of the candidates out of both January and April attempt. However, the candidates who have appeared in any one attempt, the AIR will be based on their NTA scores of the attempt that they have appeared in. Lastlt, candidates older in age. In 2019, NTA is preparing the ranks based on the total NTA scores of the candidates and the institutes are to use these ranks as their opening and closing ranks for admission. As per the last years’ data, here are the opening and closing ranks of the Top NITs that accept admission based on JEE Main scores. Using them you can estimate the college you can get admission in as per your ranks in JEE Main 2019. Keep your JEE Main 2019 Application Number and date of birth handy. Stay connected to a high-speed internet connection. Also make sure you view the result in a good browser like chrome, Mozilla firefox or internet explorer 8 and above. Keep a printer ready if you wish to print your result after downloading it. To check the JEE Main 2019 Result the candidates can follow the steps below. The candidates must keep their application number as they have received at the time of registration and the above-mentioned details ready. 1st Step: Click on the direct link available on this page above or visit the official website of JEE Main 2019, jeemain.nic.in. 2nd Step: In doing so, the candidates have to log in using either their application number and password or the application number and date of birth. 3rd Step: On entering these details the candidates are can check their scorecard on the screen. 4th Step: The candidates then can download their result and print the same for future references. Note that after the result is declared the candidates are not allowed any requests of revaluation or rechecking. Once the result is out, it is the final statement of scores. NTA does not accept any revaluation or rechecking requests from the candidates. Thus, the candidates must accept their result as the final criteria based on which they are offered admission in the institutes. After the result of JEE Main 2019 is out, the candidates have to look for the centralized counselling. However, there are 2 pathways after the declaration of the result. JEE Advanced 2019: After the declaration of the result if you qualify of JEE Advanced 2019 you can opt to register for the exam for admission in the IITs. JoSAA Counselling: If you are not willing to participate in JEE Advanced or you have not qualified for the same you can register for the centralized counselling known as the Joint Seat Allocation Authority Counselling for admission in the NITs, IIITs, and CFTIs. The candidates are shortlisted for admission to NITs, IIITs and CFTIs by participating though Central Seat Allocation Board (CSAB). The board uses the All India Rank for admission purpose. Also, the candidate should have secured at least 75% marks in their Class 12th examination (65% in case of SC/ST), or be in the top 20 percentile in the 12th class exam conducted by the respective Boards. Ques. 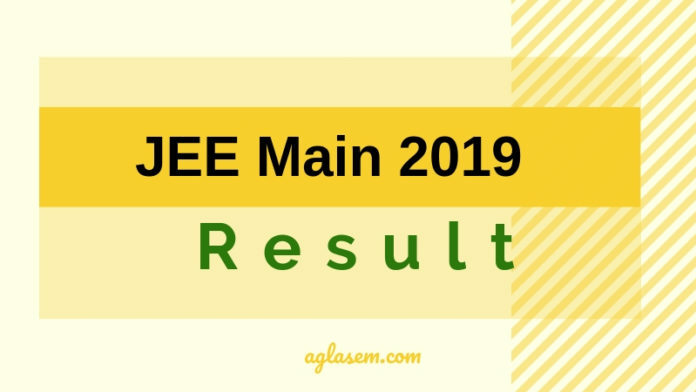 How are the JEE Main 2019 results announced? Are they released in the form of marks or percentile? Ans. The result for JEE Main 2019 has been announced online in the form of percentile, i..e NTA score. Since the JEE Main exam has been in multiple sessions in multiple shifts, the method of normalization has been implied for preparing the result. Ques. What does my JEE Mains result contain marks or percentile score? Ans. The JEE Main 2019 result consists of the percentile score of the candidates. The AIR will be announced after the JEE Main exam for January and April session is over. Ques. I am very confused about the raw score and percentile score. Can you please explain it in simple terms? Ans. Raw scores are the marks obtained by the candidate in the JEE main entrance examination, whereas, the percentile score is calculated on the basis of the relative performance of all those who appear for the examination. Ques. What is the method for calculation of NTA score? Ans. The NTA score is not the same as the percentage, and there are various factors what are the score of the topper of your shift, total candidates appeared for your shift, etc. The percentile score basically indicates the percentage of candidates that have scored EQUAL TO OR BELOW that percentile. Ques. Has anyone scored a 100 percentile in JEE Main 2019? Ans. Yes, there are about 15 students who have scored a perfect 100 percentile, and there are about 45 state-wise toppers. Ques. How will the rank distribution approximately be according to the percentile in the JEE Mains? Ans. The distribution of rank will be done by applying tie-breaking criteria. The AIR is going to be assigned to the candidates after January and April’s exam is over. For example – If you have obtained 60 percentile in your session and some other student has obtained 60th percentile in his/her session, then the rank is going to be assigned by applying the tie-breaking rules. National Testing Agency (NTA) has released the data of the candidates who have appeared for the April attempt and the January attempt. In the infogram below, we lay down the comparison of registrations that have been received for both April and January attempt. Last year, the exam was held at 113 exam cities for offline examination and 258 test cities for online examination. If you have any question about JEE Main 2019 Result, then do let us know in the comment section below. While NTA announce my raw score or not? NTA has announced the JEE Main 2019 Jan result in form of % and the merit list will be published after Apr exam result declaration. i have got 81.19 percentile score . have i qualified for jee advance ? It will depend on the normalization score of NTA. What could be my marks obtained? ?? 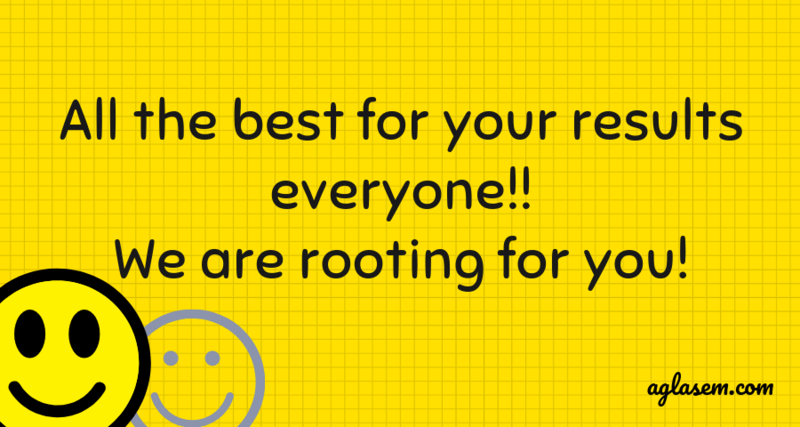 Please do not worry about your marks! Simply enjoy your life by choosing some other stream that suits you. JEE published Paper-1 Answer key to be challenged by end of day 17th Jan 2018. I have challenged 2 questions and I am sure my overall score should increase. Minimum qualifying percentile for jee main 2019 January exam ? well there is no such information has been out for the cutoff. What is the average percantage, for qualifying. So that we may have many doubts cleared…. Please let me know SIR…..
Cut off will most probably be around 70-75 percentile. I did not download the question and answer key before 17th January. Can I do it now? Your predicted rank in JEE Main 2019 Apr is 3314 – 4314. Your predicted rank in JEE Main 2019 Jan is 40815 – 45815.